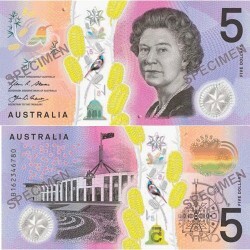 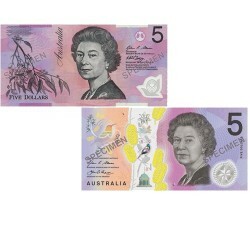 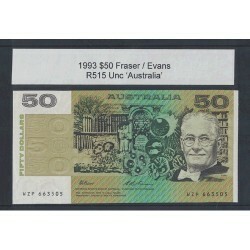 Here you will find a range of Australian Decimal Banknotes ranging from VF-Uncirculated issued from 1966 onwards. 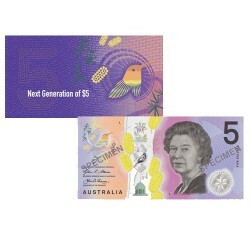 Decimal Banknotes There are 50 products. 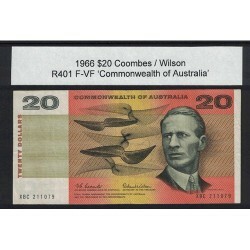 1966 $20 R401 Coombes / Wilson General Prefix F-VF Australian Banknote. 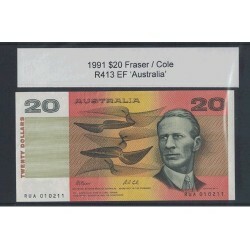 1991 $20 R413 Fraser / Cole General Prefix EF Australian Banknote. 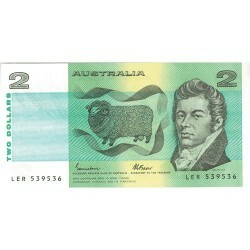 1991 $20 R413 Fraser / Cole General Prefix Uncirculated Australian Banknote. 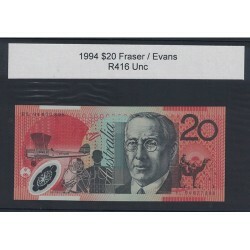 1994 $20 R416 Fraser / Evans General Prefix Uncirculated Polymer Australian Banknote. 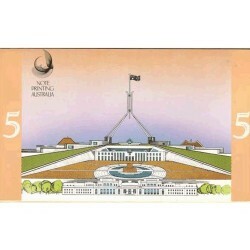 1992 $5 Last / First Souvenir Folder Uncirculated Australian Banknotes. 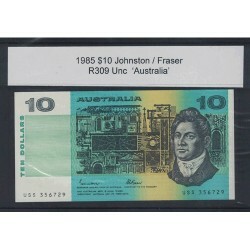 1985 $10 R309 Johnson / Fraser General Prefix Uncirculated Paper Australian Banknote. 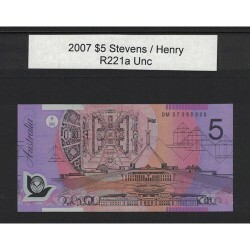 2007 $5 R221a Stevens / Henry General Prefix Uncirculated Polymer Australian Banknote.